Aloe Ferox provides natural relief from arthritis pain. Common symptoms of arthritis are pain and swelling in joints. You are likely to be stiff and may experience problems moving around. The pain of arthritis may be minimised with a TENS machine. If you are looking for effective natural, herbal, drug-free remedies to ease the pain and discomfort of arthritis, the following may be of interest. 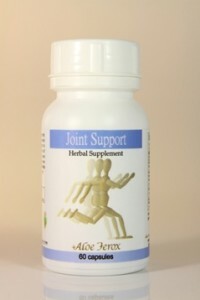 Aloe Ferox Joint Support helps to improve the general function of the body’s joints. It assists with joint lubrication and function; cartilage and collagen production. It reduces joint pain and inflammation. Joint Support contains Glucosamine, Copper, Manganese and Devil’s Claw. Devil’s Claw is a traditional herbal remedy for arthritis, rheumatism, gout, lumbago, fibrositis and myalgia. It also works as an appetite stimulant and has a positive effect on digestion. Older people tend to find this herbal supplement particularly beneficial. Customer Testimonial: ‘I was getting sharp pains around the hip joint and since taking the it eased considerably and more importantly when I stopped taking it the pain has returned so I would definitely recommend Aloe Ferox Joint Support from Natural Beauty Care which contains Aloe Ferox.’ P Newland, Surrey, England. Health warning: Not to be used with blood thinning medication due to the anti-coagulant nature of Devil’s Claw. There are no known contra-indications for Aloe Ferox. Aloe Ferox Bitter Crystals help to address pain due to arthritis and high blood pressure. However they are primarily formulated to act as a laxative for those with chronic constipation. Aloe Ferox case studies and customer testimonials. Read about how Aloe Ferox has helped other people to feel better and stay well. What can Aloe Ferox do for you? Read the following real stories from people who have used Aloe Ferox to great effect. Some of the results may seem incredible, but we assure you, they are true. How Aloe Ferox helps to repair badly burned skin and prevent scarring. Aloe for firework second degree burns case study. Sam was helping out with a firework display. 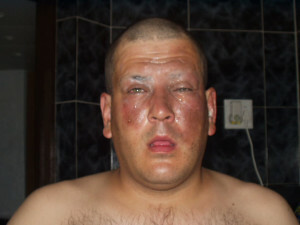 One of the fireworks was faulty and exploded in his face causing serious damage to his skin and eyes. Within a few minutes he applied Aloe Ferox and was rushed to hospital. 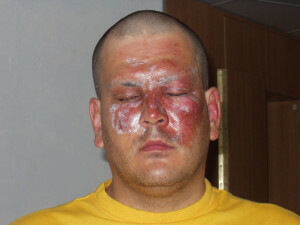 The doctor told him it would take weeks for the skin to recover and was concerned about scarring. Sam continued to apply Aloe Ferox regularly and within eight days a new layer of skin had formed. Today there is no visible sign of the ordeal he went through. Thank you Sam Coetzee of Albertinia for sharing your story. How Aloe Ferox helped to heal steam burns with no scarring. Aloe Ferox helped with second degree burns. 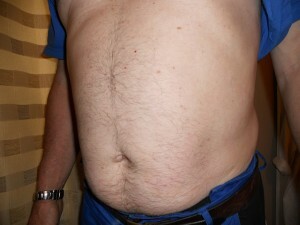 I got very badly burned on my stomach from high pressure steam which resulted in second degree burns. I rushed to my GP surgery where I was attended to by two nurses who were quite taken aback by the severity of the burns. They immediately administered painkillers and applied sterile dressings and wrapped me in bandages from my waist to my armpits. The dressings had to be changed every morning for 14 days to prevent any infection. When the final dressing was removed I was told to use a moisturising cream to keep the area moist but to expose it to air to aid the healing process. I was still in considerable discomfort and extremely itchy. I used Aloe Ferox Super Aloe Gel for the burns, every morning and evening and after two days the itching had stopped. After a week of use I was amazed at the rate at which the redness and scarring diminished. I continued to use the gel for some time afterwards with great results. I cannot speak highly enough of this product and its incredible properties. B Mitchell, Doune. Case study - how Aloe Ferox provides relief from arthritis joint inflammation. ‘I was getting sharp pains around the hip joint and since taking the Aloe Ferox Joint Support it eased considerably and more importantly when I stopped taking it the pain has returned so I would definitely recommend Aloe Ferox Joint Support from Natural Beauty Care which contains Aloe Ferox.’ P Newland, Surrey, England. Aloe Ferox Adam for male performance and prostate wellbeing. Prostate and ‘Morning Glory’ case study using Aloe Ferox Adam. Thank you for recommending your product Aloe Ferox Adam as an aid to a developing prostate problem. After only two months of taking the capsules I am delighted to say that my stream has definitely improved and I seldom get up at night for bathroom visits. A surprising and welcome development is the return of what one used to call a “ Morning Glory”, quite often in the middle of the night, and a clear improvement in that area. Aloe Ferox for super sensitive skin during chemotherapy. ‘My mom uses Aloe Ferox Super Aloe Gel in South Africa for her skin during chemotherapy with really good results’. Brendon. ‘We have tried everything (for constipation) even Aloe Vera, but nothing else (except for Aloe Ferox Fabulous Fibre Bitters works.’ Mrs. White. “I’ve been using your (Aloe Ferox) products for a few years now since I made a trip to Africa. I’ve always been very happy with the product.” D Shepherd. Aloe Ferox for Psoriasis of the scalp. ‘I am delighted to say that your Aloe Ferox Whole-leaf Gel product has brought me such relief for my scalp psoriasis condition. It is immediately soothing and cooling on my skin and delight of delights – I can apply it without it making my hair greasy. Thank you so much for introducing me to this amazing product.’ J.D. Dundee, Scotland. All of the prescription medicines including steroid based creams and various moisturising agents I had used did not improve my condition to any real degree. I was introduced to Aloe Ferox Super Gel for psoriasis 2 months ago. My initial thoughts were of scepticism as everything else had made very little difference. I noticed even as early as the second or third application that my condition had started to improve. This improvement continued, until after about 10 days the irritation had greatly reduced and the visual skin damage had healed significantly all over. I continue to use the Aloe Ferox Gel with success. My condition has not totally disappeared, however the Gel maintained this improvement and kept my condition to a very comfortable and manageable level in particular at nights when I no longer have my sleep interrupted with high levels of discomfort. How Aloe Ferox can provide relief for chronic constipation. 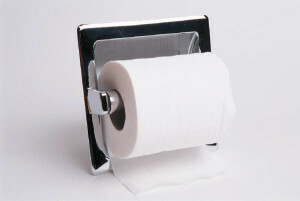 Case study – help with constipation and haemorrhoids. ‘The Aloe Ferox products are excellent. They’ve given me great relief from constipation and haemorrhoids which I’ve suffered from for the last 2 years. Remedies I used previously worked for a week and then I reverted back to start. It was the same with numerous diet changes. I was been driven demented. The Aloe Ferox keeps on working.’ Leo Patrick, Dundalk, Co Louth, Rep of Ireland. How Aloe Ferox can help improve your skin. ‘Thanks very much for sending me the Aloe Ferox Super Aloe Gel. Since I started using them, I have noticed that the pores on my skin have reduced in size, my skin feels really hydrated and I have less spots too. Great product at a very reasonable price. Thanks again’. J Stewart. There are numerous success stories from customers in South Africa. A range of wellbeing problems can be addressed by using Aloe Ferox. So if you or a loved one is not in optimal health, consider the natural healing power of Aloe Ferox. There is a good reason that Aloe Ferox is called a ‘Pharmacy in a plant’. Please remember that no matter what your health issue, you should always consult with your GP rather than rely on self-diagnosis or treatment.